is a ukulele that will deliver a wonderful voice while opening up over time. It will last a lifetime." As with any stringed instrument, the key design challenge is to balance durability with voice—too stout construction and the voice will be choked; not stout enough and the instrument will literally fall-apart over time. For The Classic, the design elements revolve around the bracing thickness of the top & back. We tested both ends of the spectrum—over-building and under-building—in order to find the perfect middle ground. To optimize the voice, it is imperative that we maximize the amount of string energy that reaches the bridge. The idea is for the instrument to be light & responsive, but stiff. For this reason, we inlay a carbon fiber rod into the neck. The hand-shaped neck, radiused fretboard, meticulously leveled frets, and individually dressed fret ends make this instrument a player's dream. Geared tuners are standard-ultralight Peghed brand tuners on the smaller sizes, and machine tuners on the tenor and baritone. 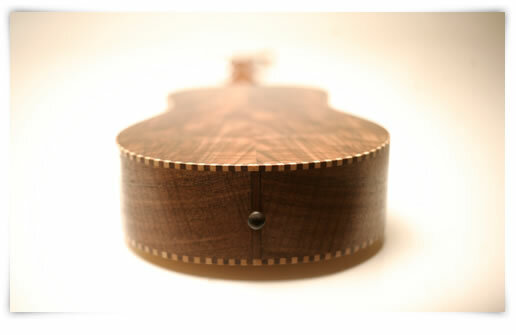 The result is a ukulele that will deliver a wonderful voice while opening up significantly over time. It will last a lifetime.